I hope you and your families had a very Happy Thanksgiving! Since the holidays are still rolling, today’s post is a roundup of seasonal tidbits to keep you in the holiday spirit ‘til 2014. In case you missed it, SHMorganizing was featured in MyScoop Birmingham: 10 Steps On How To Get Organized For The Holidays. 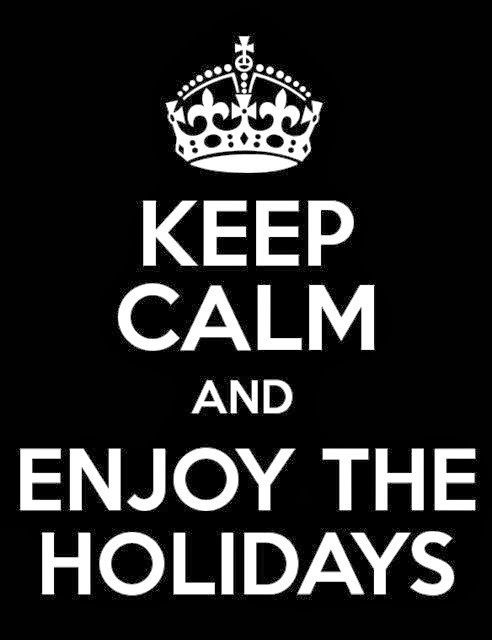 Check out the article to keep calm and enjoy the holidays! Organization is obviously a passion of mine, but playlists and stocking stuffers bring out my happy dance as well. 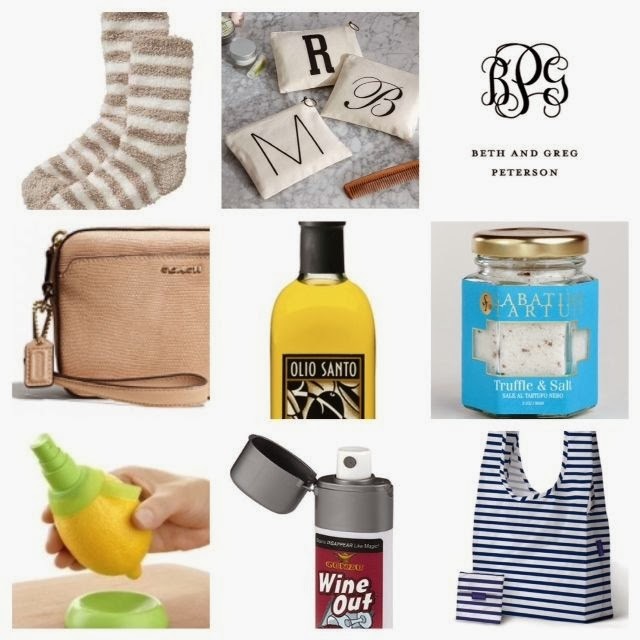 So, in honor of this busy time of year, I’ve created a playlist of seasonal tunes to keep your spirits bright and a collection of stocking stuffer ideas to assist with your shopping. I absolutely love music – all kinds of music! I can’t hold a tune or play an instrument, but you’ve never seen someone hit her Shazam app faster when a great song comes on the radio, plays in an elevator, is heard in a film score, etc. I surround my family with music and have a playlist for almost any occasion. Below are some of my favorite Christmas songs - about an hour and a half of music. Each song compliments the next, so just hit play and go about your gift-wrapping, partying, holiday baking, or fireside relaxing. “Blue Christmas” – Harry Connick, Jr.
some of her “favorites”: favorite perfume, favorite chapstick, favorite scented candle, etc. State Traditions state and gameday inspired hats, ties, belts, stickers, cuff links, cell phone cases, etc. 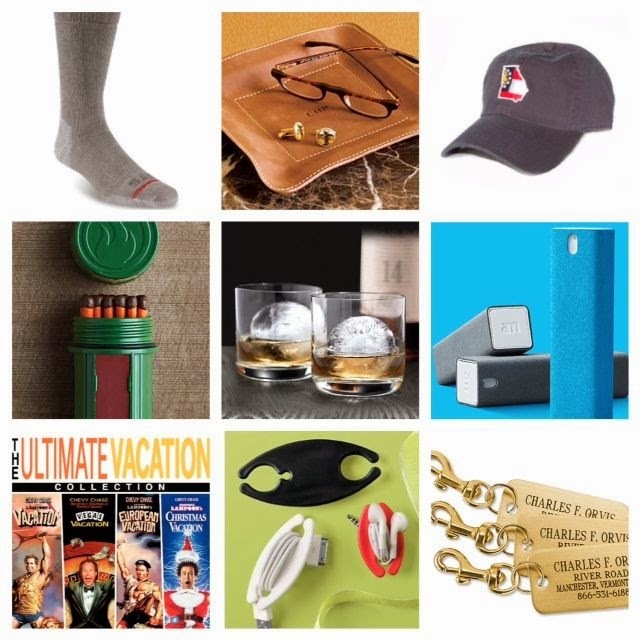 some of his “favorites”: favorite pens, favorite golf balls, favorite cigars, etc. The unexpected! Occasionally step away from practical and go full-on fun with some sparkly jewelry for her or great seats to his favorite concert or game. Happy Holidays and don’t forget: if you need any help taking down and storing decorations after Christmas, please contact SHMorganizing at (205) 623-9166 or info@SHMorganizing.com. Who doesn’t love BEFORE and AFTER pictures?! Whether it’s a redecorated dining room, a weight loss, or a reorganized closet, we just can’t get enough of these amazing transformations! At the end of each project, I get to share these pictures with my clients and their reactions typically include laughter, relief, and joy (cue my happy dance!). If our TV isn’t set to Blue’s Clues for our 20-month old son, then it’s set to HGTV…I’m addicted. But even in my great love for that channel, I know it doesn’t take 30 minutes minus commercials to transform a 1980’s kitchen into a modern-day cooking kingdom strewn with stainless steel appliances, granite countertops, and under-mount sinks. Transformations take time. I’m quick to remind my clients that purging spaces and putting them back together is a simple idea, but not a quick fix - you need to be ready. 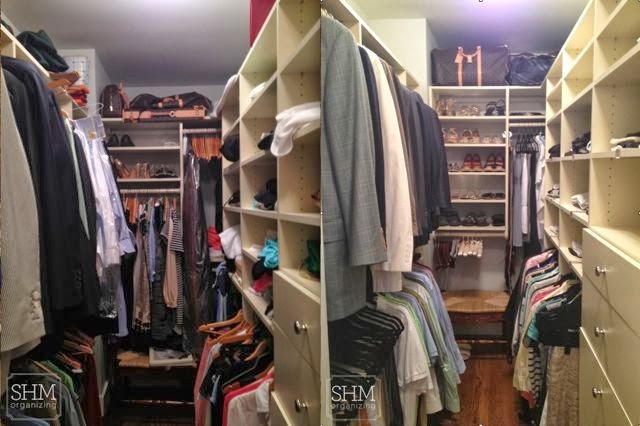 This closet had great bones - beautiful shelving and lots of storage - but the space was not being maximized and the flow needed some improvement. 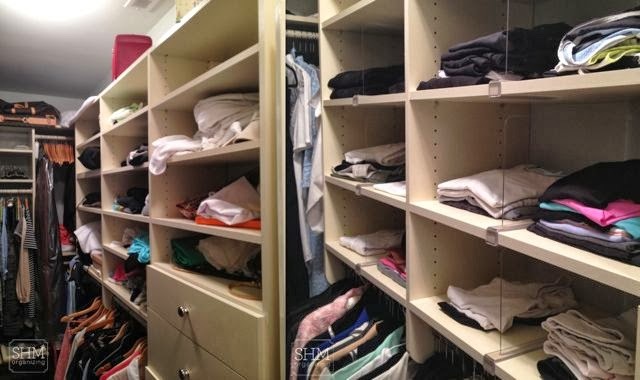 My client’s priorities included a good purge, matching hangers (music to my ears! 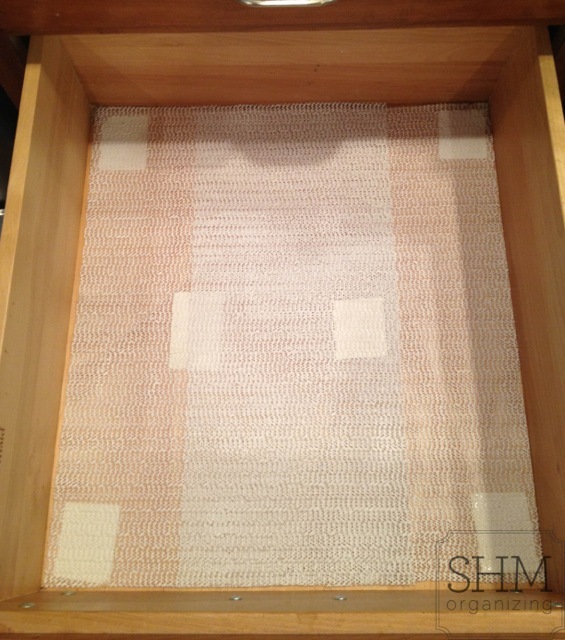 ), clearly defined his & hers areas, functional storage for their belts and her scarves, and shelf and drawer dividers. So we got to work! After we purged through all of the items, the bulk of my time was spent reconfiguring the layout. I worked with the original closet manufacturer to order new shelves, additional rods, and customized dividers. My toolbox saw a lot of action, but thankfully I had some help when two of the kiddos would sneak upstairs to ask about each of my tools...welcomed & sweet distractions! THANK YOU to the M. family for your kindness, collaboration, and the opportunity to make a difference in your daily lives - I had so much fun working with you! Wooden, non-slip, plastic…so many choices, so little time. But have no fear because today's post will help you make the best choice when selecting these closet essentials: hangers! 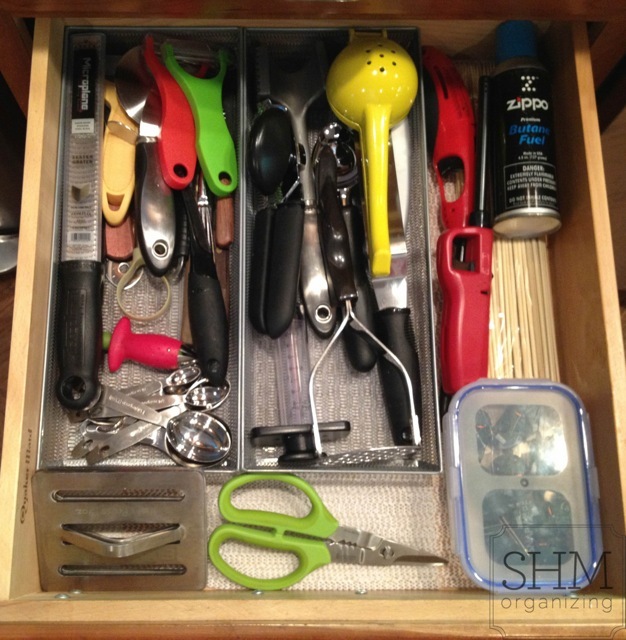 When it comes to organization and organizing supplies, I'm a big believer in function + fashion. First, it has to work well - but it also has to look nice. 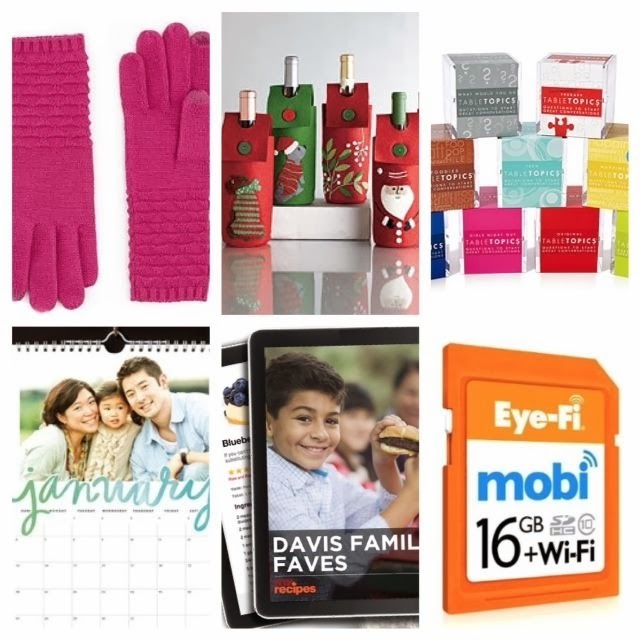 When things look nice & cohesive, you are more likely to keep them in order. I have minimal requirements when I work with clients because we design systems around their lifestyle & habits, not mine. However, hangers are an exception to this rule: I insist on matching hangers. 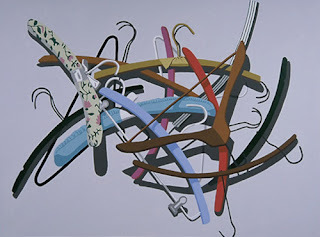 Hangers set the stage for closet maintenance, and if they’re uncoordinated then they deter & distract from organization. All you see are clothes - not a stressful mess of hangers to sift through. 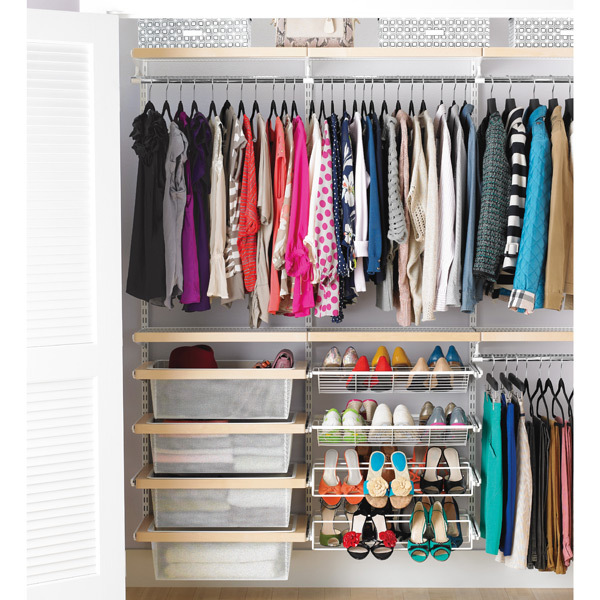 All garments are not created equal and they require varying storage needs. In other words, one-size hanger ≠ fit all. Using the right hangers for your clothes will extend the life of your wardrobe…and the investment you made in that wardrobe! 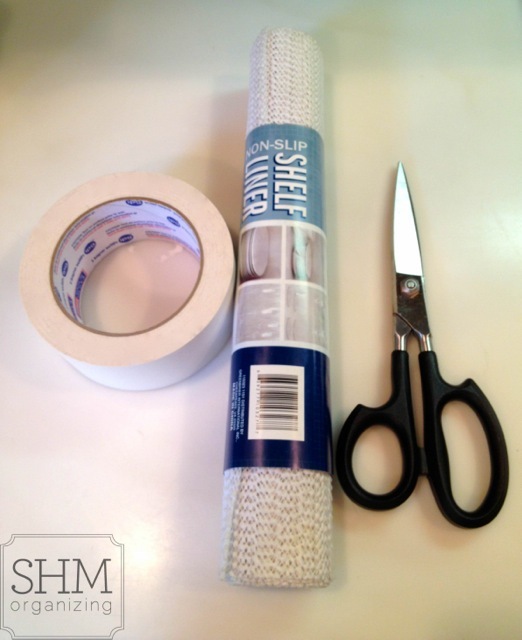 For most items in your closet, I’m a huge fan of these space-saving non-slip hangers! They’re perfect for men’s shirts, ladies shirts, dresses, lightweight jackets, etc. – plus these clips can be added to accommodate skirts or pants. These ingenious little triangles keep your clothes locked in place AND look fantastic in any color…function + fashion! And speaking of pants…clipping them to the non-slip hangers or draping them over the non-slip hangers are both great options. 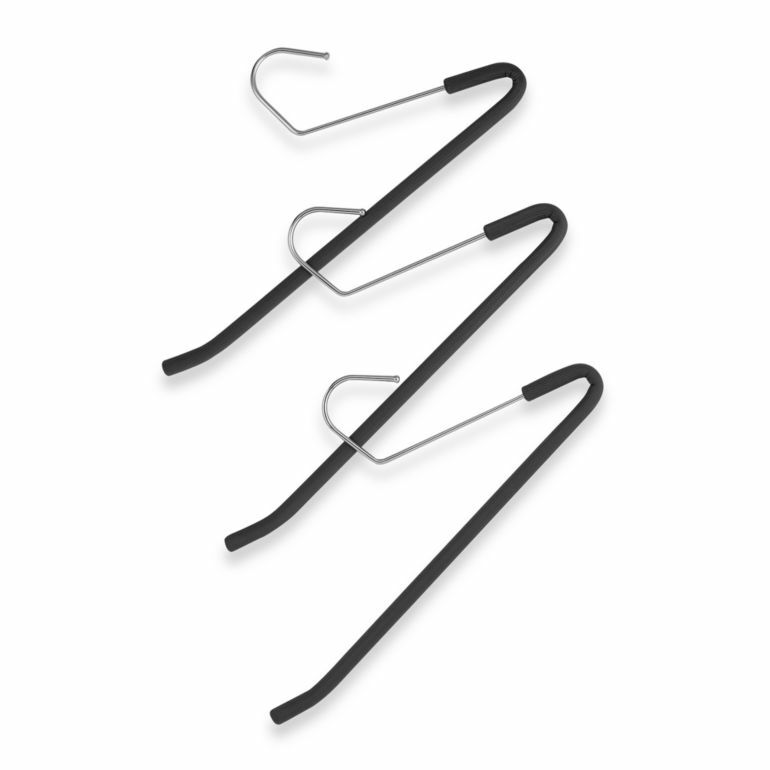 But if you want to take things a step further, I recommend these rubber trouser hangers. They hold your pants several inches higher than the non-slip hangers (space-saver) and your pants can be retrieved without removing the hanger from the rod (time-saver). To that, I say: it’s the little things! But what about suits and winter coats?! This is where wooden hangers do their best work. 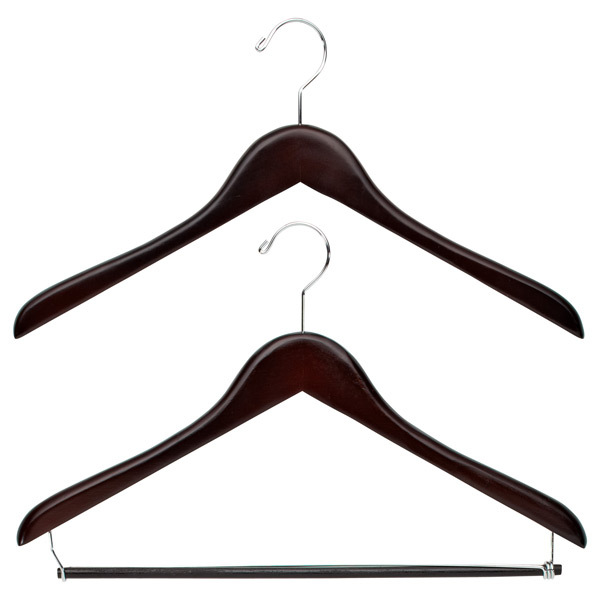 Support and form are paramount for storing these garments, and the quality & color options for wooden hangers are endless. But as long as your choice includes broader arms with a curved profile, then you’re good to go! 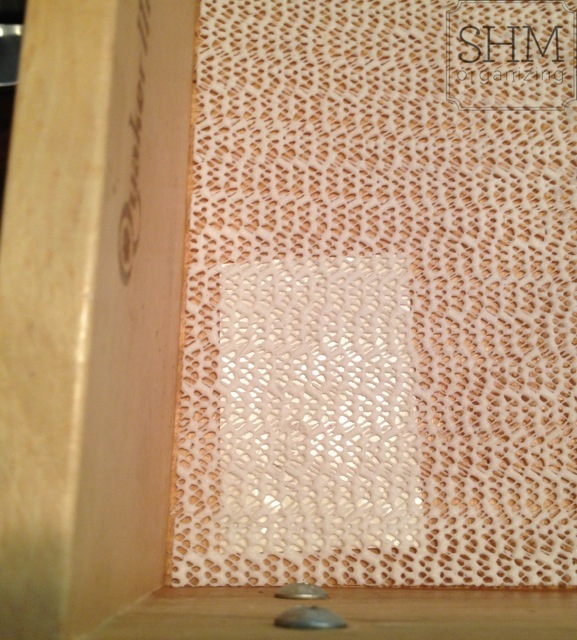 And you can always add these Garment Grips to prevent slipping. 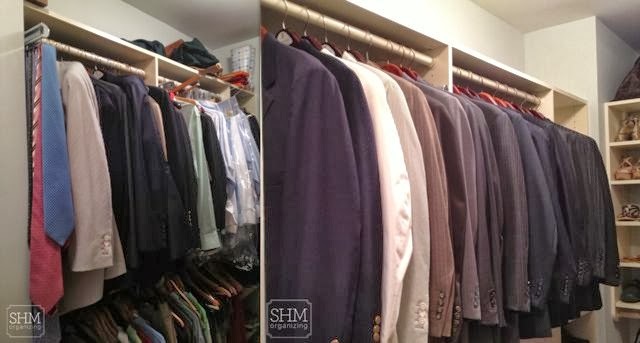 Wooden hangers are more cumbersome and more expensive than their competition, so I encourage clients to reserve them for their heavier garments in order to free up rod space in their closet and dollars in their pocket. All of these hanger options are available in several brands, at different price points, and in multiple stores – so consider your budget and favorite retailer, and let the hanger intervention begin! 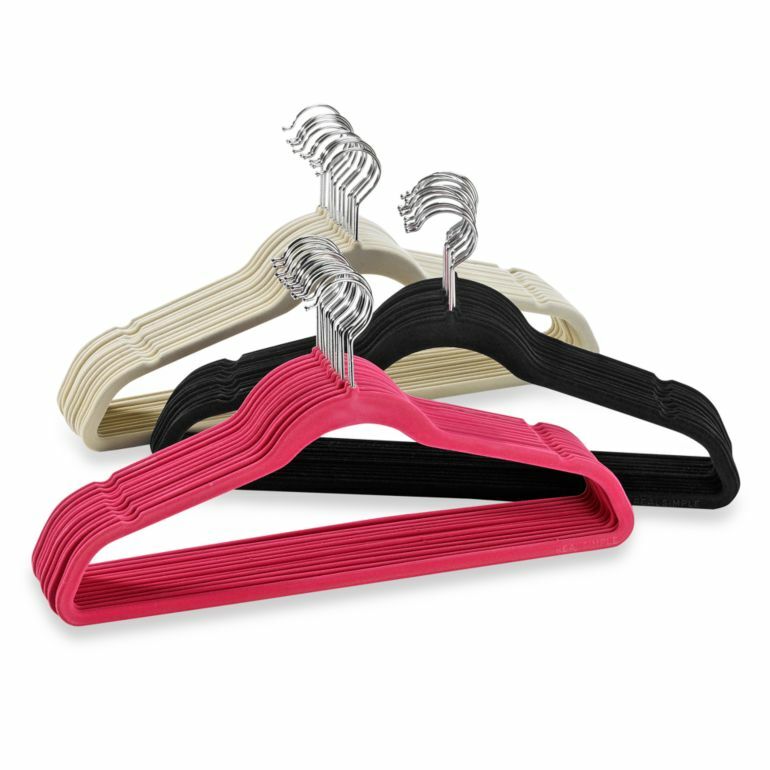 Don't forget to donate any unused hangers and be sure to recycle any wire hangers. Most dry cleaners will recycle wire hangers, and some will even hang your garments on your own hangers after they’ve been laundered (no more transferring clothes when you get home!). What's in a name? My initials! 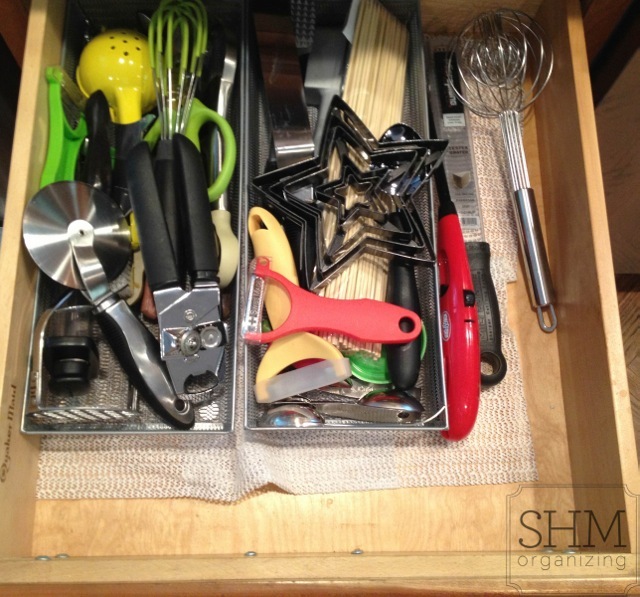 This is the first blog post for my professional organizing business, SHMorganizing. I created this company and blog to help others. My goal is to produce useful information and quality work that decreases the chaos and clutter in your life, home, or office. Please take a tour of my blog and click on the social media icons to follow me around the internet. You can learn more about my journey under the "About" tab and I welcome comments, emails, and questions - so be in touch! 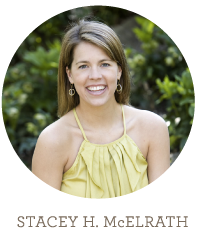 I'd like to send a big THANK YOU to my dear friend and blog designer, Carolyn at Carolyn V. Design. She is yet another example of the goodness that comes from doing what you love and using your gifts. Thank you for sharing your talents with me!